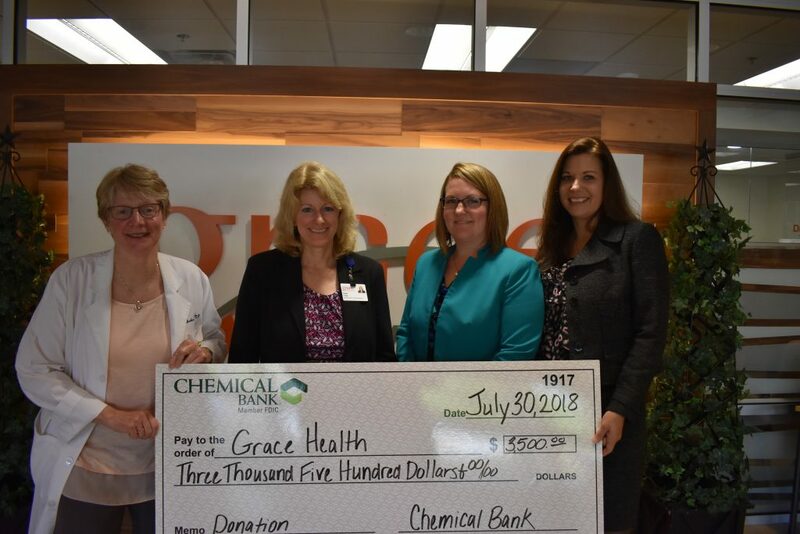 Renee Underwood and Sarah Russell of Chemical Bank present Linda Wetherbee, CPNP and Diane Craig of Grace Health with a check for $3,500 to purchase books for Grace Health’s Reach Out and Read, Early Literacy Program. New, age-appropriate books are given to children 6 months – 5 years of age by the provider during their well child visit. The provider explains to the parent/guardian the importance of reading to/with a child – linking health care to literacy.